Updates to Patricia (Pat) (Patsy)'s profile since your last visit are highlighted in yellow. After Broughton, I attended Saint Mary's graduating in 1963, and in January 1965 I graduated from Meredith in Education. Met my husband, Charles Denson while he was attending State. We married March of 1965 and lived and worked in Danville, VA where our children were born. Burlington Industries moved us to Mooresville in the summer of 1970 and discovered we had Broughton grads as neighbors, Alex and Sandra Bell. Our children played and went to school together. I substituted in the Mooresville schools for seven years and began full employment in 1980 until I retired in 2004. I taught grades 6, 7, 8 at the Middle school level and then grades 2,3,4. Third grade was my love and joy. We have had an active life raising children along with our work and church. My daughter lives in Selma, NC where her husband pastors Live Oak Baptist. She works as a Physical Education teacher. Our son lives and works in Winston-Salem. He has great interest in aircraft, air shows and builds models for competition. In the Army National Guard he worked with the Apache missile system. We have been fortunate to travel many countries in Europe. Cruised the Mediterranean from Greece, Egypt, Israel, and a few ports of Asia to Istanbul. Standing by the Pyramids was an amazing feeling. We took about five cruises with friends each winter and then to Bermuda looking for sea glass. Our trip down the West Coast to Mexico with friends was gorgeous after our National Lampon trip to the Grand Canyon and the Mirage in Vegas. We were invited to the White House to tour the Christmas decorations in 2005 when my husband's sister and her husband placed trees in the White House grown from their their tree farm in Laurel Springs, NC. Besides the the tree in the Blue room, a tree was placed in Bush's residence and Oval office. Our time is spent volunteering at church serving on committees, helping Scouts, Preschool,and Chairing a Circle. We spend time with friends and family as much as possible. I have fond memories of Mrs. Freeman and looked forward to choir everyday at Broughton. I thought a lot of Mrs. Fish who taught Biology, and I had her at St.Mary's. Loved Mr. Blakeway's College algebra class. Wow... we were so fortunate to have great teachers and a great High School ! As some of you may know, my husband past away this past Feb. 7, 2012. This has been a difficult time in my life, but I have had wonderful support with family and friends. Hope to continue to hear from many of you. Patricia (Pat) (Patsy) Griffin Denson has a birthday today. Patricia (Pat) (Patsy) Griffin Denson has a birthday today. New comment added. 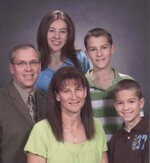 Patricia (Pat) (Patsy) Griffin Denson added a comment on Profile. Patricia (Pat) (Patsy) Griffin Denson posted a message. Patricia (Pat) (Patsy) Griffin Denson added a comment on Profile. New comment added. 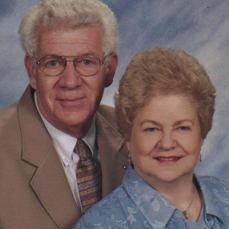 Patricia (Pat) (Patsy) Griffin Denson updated profile. View. Patricia (Pat) (Patsy) Griffin Denson posted a message. New comment added. Mollie, I hope you and Jim have had a blessed Christmas. I had planned to write you but realize that I don't have your address or phone number unless it is correct in the past Broughton directory. I am hoping to come to Raleigh some this year. My granddaughter is a freshman at State and I have promised her a tour of Raleigh to see the places I lived and went to school. Hope Jim's health issues have resolved. Let me hear from you. My daughter and her family / Patricia, Keith, Anne, John and James. This was Mrs. Elliot's class which met at White Memorial Presbyterian Church that year because Sherwood Bates wasn't built. Other classes were scattered about town that year. There was a boom in the student population for several years.